My mission this year is to tailor this blog and the Woman Incredible Facebook page more and more to YOUR needs and wants. To do this, I need your help in answering a short 2 minutes survey here. Most importantly, I want to know what is your number one most BURNING question for me? Be as brutally truthful as you can – your answers are entirely private and confidential. 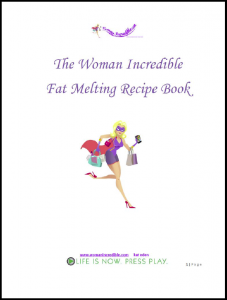 In return for your time and openness you will enjoy your FREE copy of my recently completed Woman Incredible Fat Melting Recipe book. 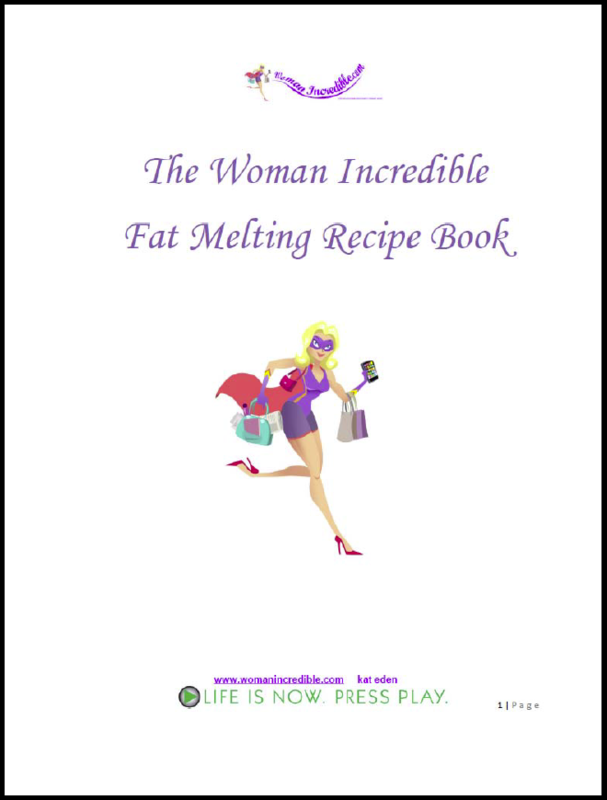 Featuring recipes from my own kitchen and a bunch of my most respected online health buddies, I guarantee you’ll find some new winners for your own cooking. The best part of this book is that ALL the recipes are geared not only toward maximum delicious-ness (it’s a word ;-)) but also toward maximum time efficiency! I know you’ll like the sound of that! Sleep And Hangovers – One Formula For Both? Great to meet a like-minded lady who longs to see women rock their lives. Thanks Laurie! Am heading over now to check it out!